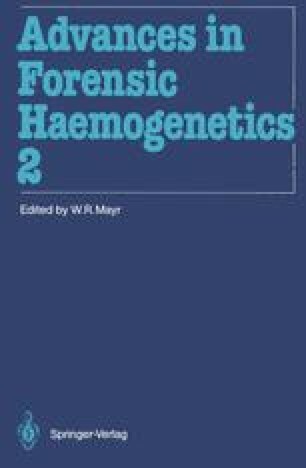 More than thirty plasma proteins were described to be genetically polymorphic; only a limited number has been applied to forensic haemogenetics on the basis of genetic variability, known mode of inheritance and technological feasibility. The present review will therefore consider, with the exception of immunoglobulins, those plasma proteins which are well established or appear to be most informative. Special emphasis will be placed on new developments in the field of complement genetics.